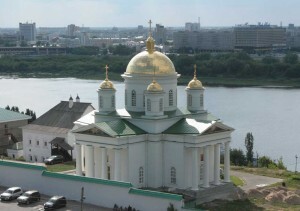 Culture | Alexievskaya Church (Alekseevskaya church). Nizhny Novgorod. Alexievskaya Church (Alekseevskaya church). Nizhny Novgorod. Kanavinskiy Bridge – the first permanent bridge across the Oka River, located on the territory of Nizhny Novgorod. The original name – “Oka”. Connects the upper, mountainous, with the lower part of the city, beyond the river.Church of the Ascension Nizhny Novgorod, St. Elias.